McMichael leads our project teams in the creative process of putting ideas into practice. This is a collective experience he shares with our clients by engaging a place; its communities and its future in revealing the opportunities that allow us to develop purposeful places. Our ability to design emotionally responsive spaces has had a profound impact on the success of our clients and their communities. 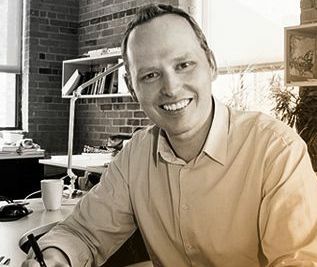 Before joining architects Tillmann Ruth Robinson in 2007, McMichael expanded his experience of practice in Toronto and Holland. In Amsterdam, McMichael developed his appreciation for the role of design in influencing everyday life. Here, ambitious yet simple architecture with clear intent is integral to the energy of the City’s rich fabric. This perspective on the role of design, as well as his Toronto experience of creating design-focused and well-crafted buildings, influences his on-going work in public based architecture. Community development projects such healthcare and post-secondary facilities are the focus of McMichael’s practice. St. Joseph’s Health Care, London, Western University and Niagara College are just a few of his repeat clients. Current work includes residential and commercial work for Sifton Properties’ West 5 Community, Brock University’s DeCew Student Residence Renewal, and Lambton College’s Bookstore addition and Chemistry Lab renovations.